This is a fun section of our website, where we share itinerary ideas with you. We've categorized the holidays and grouped accommodation and activities accordingly to create fun, experiential multi-day holiday ideas for you. We don't sell package holidays per se, but of course we will quote on and assist with bookings on our parks, and contacts for other organisations if required. 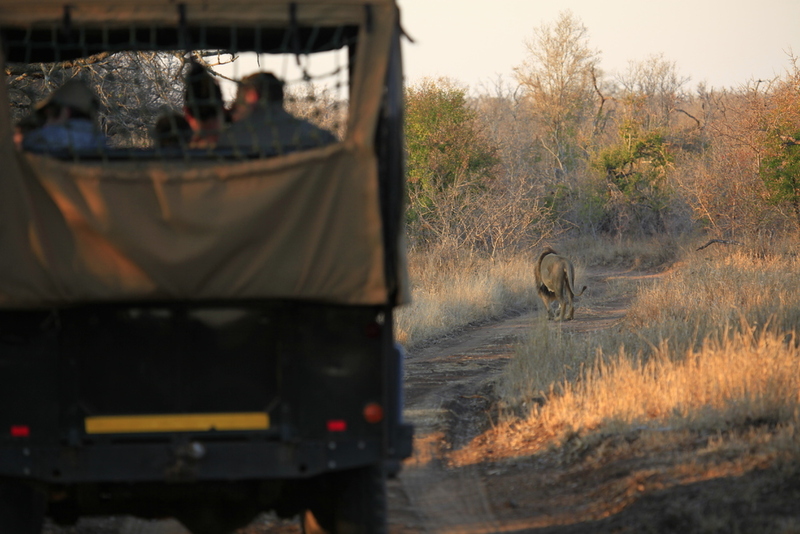 Although all our guests are coming to a game park, some really want to focus on wildlife, whether motivated by photography or personal interest. 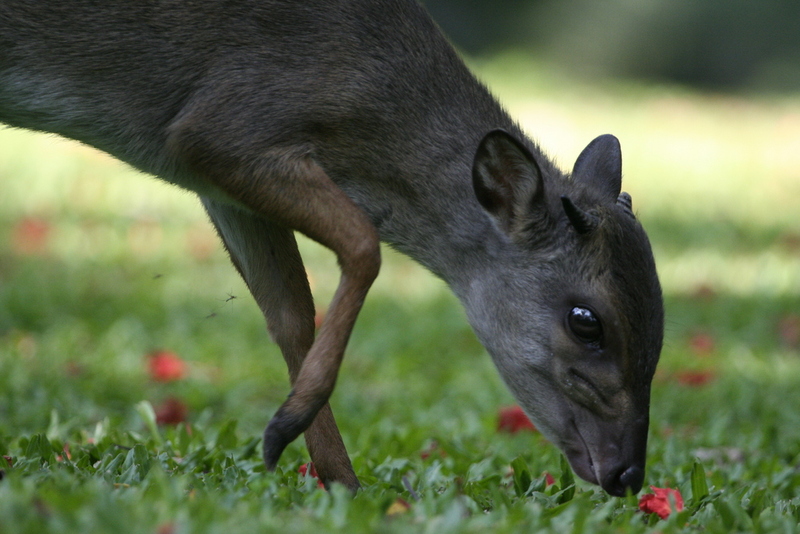 These package ideas are designed to fill your days with phenomenal species experiences! 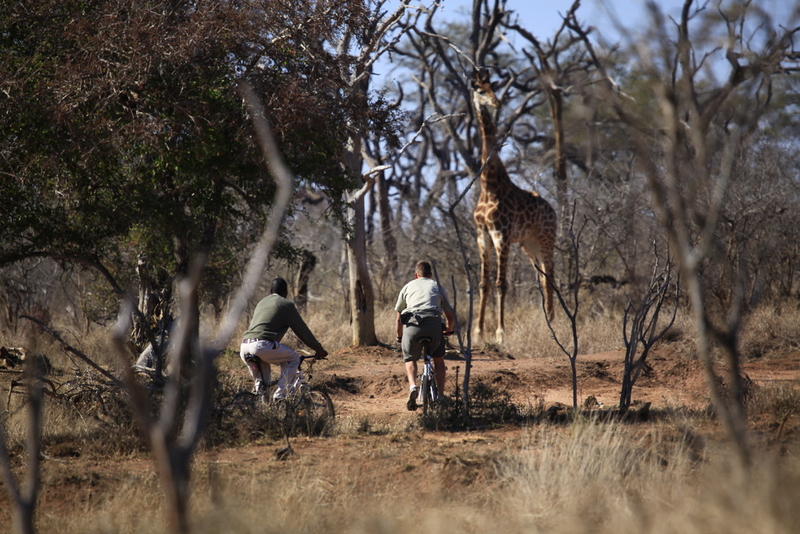 All Game Walks on Hlane are guided and conducted outside the endangered species area, along roads and game paths, or simply through the bush. 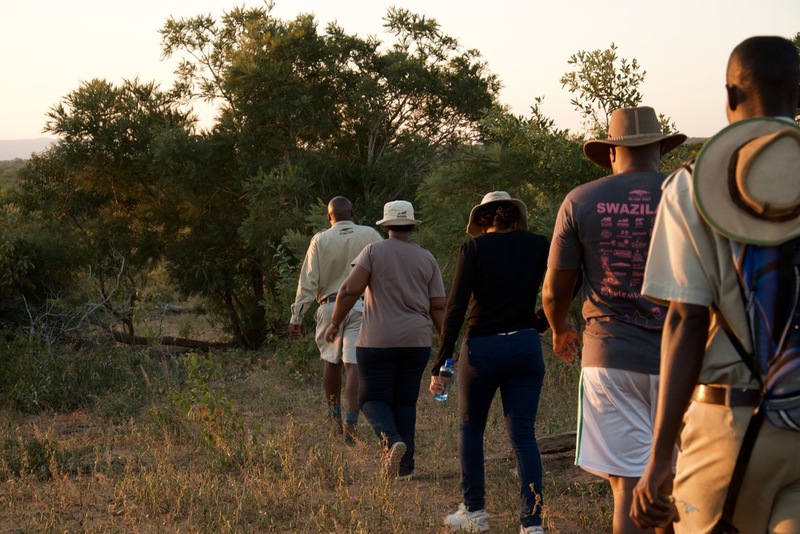 2,5 hours of quiet walking through bush heightens all the senses and the slow pace allows for interpretation of the signs of the wild, making the experience truly memorable. 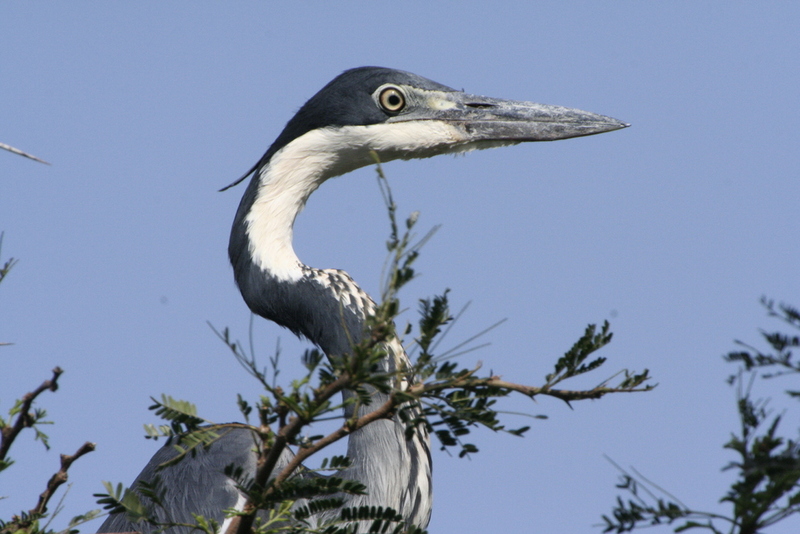 Your preference of either a Game Walk or a Birding Walk will dictate the area chosen for the walk. It's easy to get excited about the big guys, but the little ones are often just as vulnerable, and sometimes more entertaining with their delicate ways. 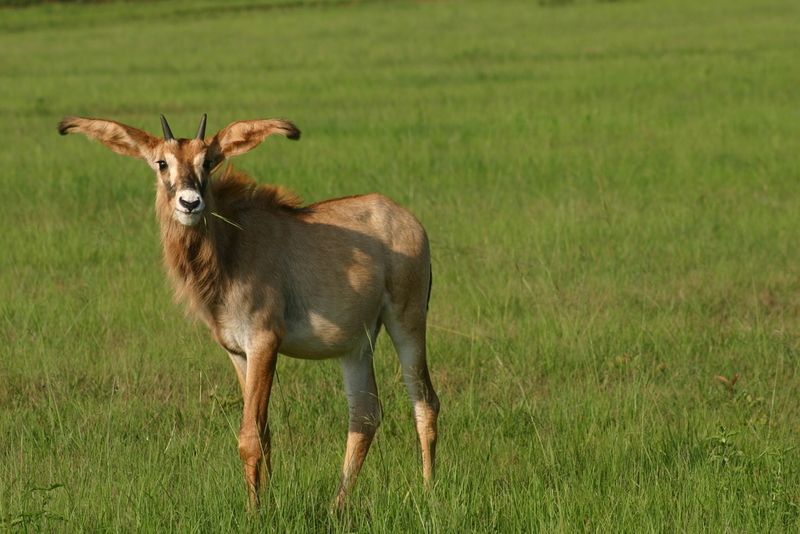 Mlilwane Hill has been developed as a locally rare and endangered species propagation centre, with incredible opportunities of getting among and learning about these animals. 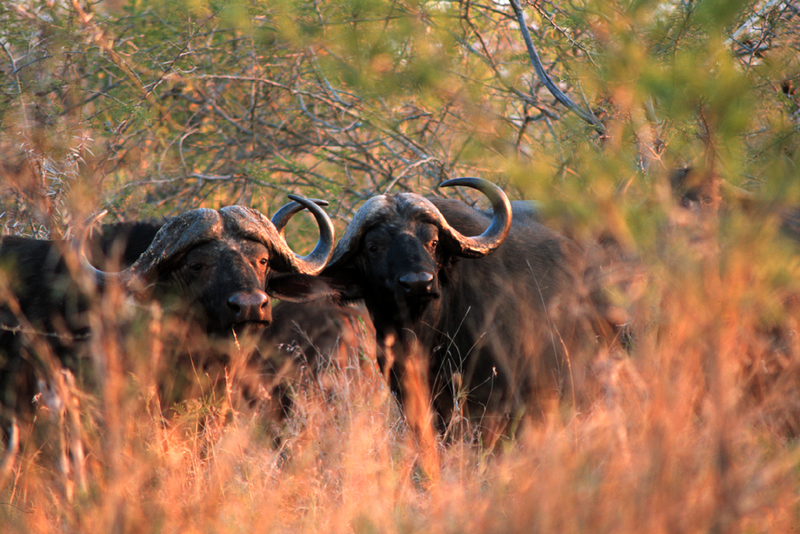 Mkhaya Game Reserve is Swaziland's Refuge for Endangered Species, focusing on Lowveld species which tend to be larger. 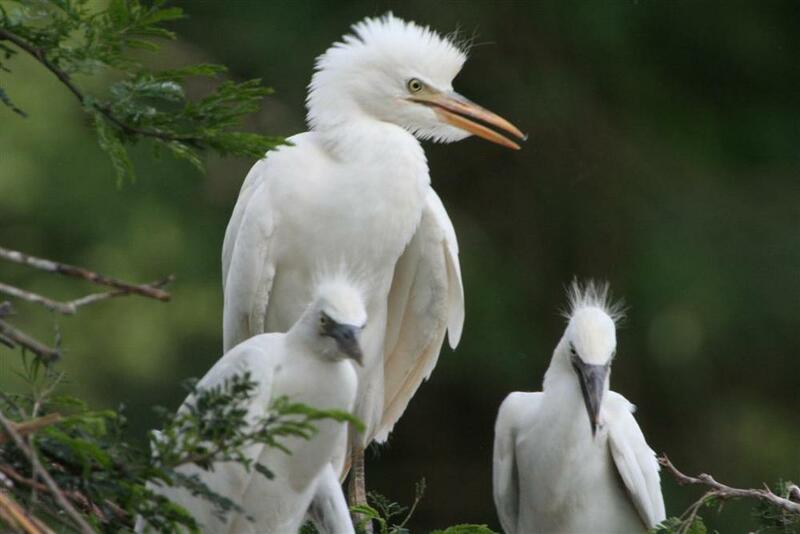 The combination provides a wide variety of knowledge and sightings. 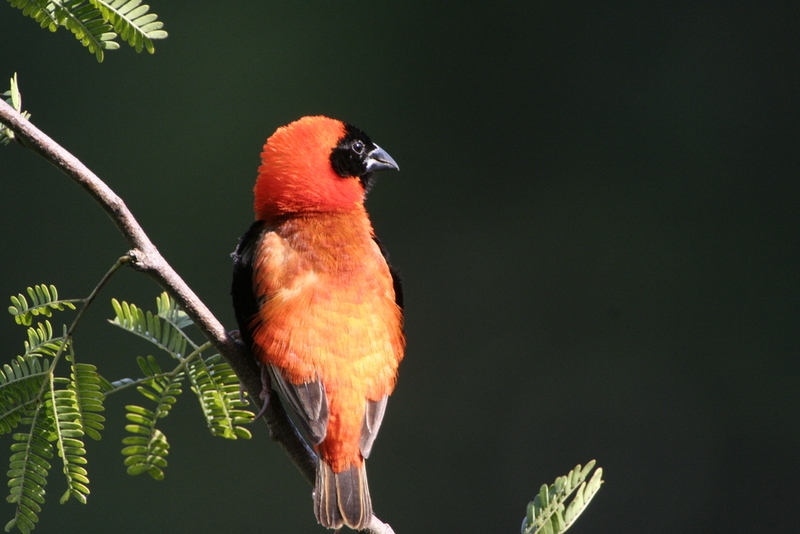 Swaziland is smaller than the Kruger Park, but its variety of habitat brings with it a longer bird list. A week on our 3 parks will get those lists plumped up nicely! With easily accessible wetland areas alongside woodland, tick off up to 9 kingfisher species, watch the aerobatics of at least 3 bee-eater species, and enjoy the grassland species. Climb the mountain for chats and kestrels, watching the ravine forests for the colourful robins and brubrus. 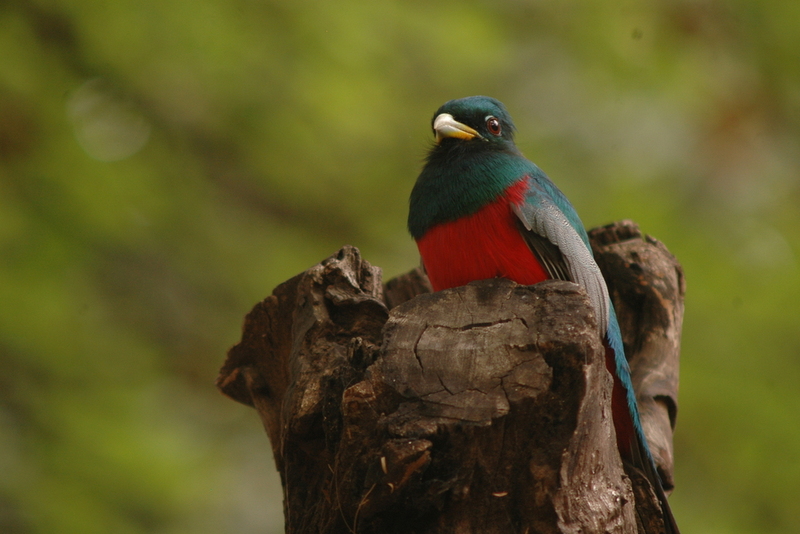 The lowveld woodlands and riverine forests reveal the beautiful bush-shikes, touraco, trogans and larger birds of prey… and so much more! Pack those binoculars, bird books, water and a little snack. Remember connectivity is not always available for on-line references. A few nights at Reilly’s Rock is like escaping into the Secret Garden! 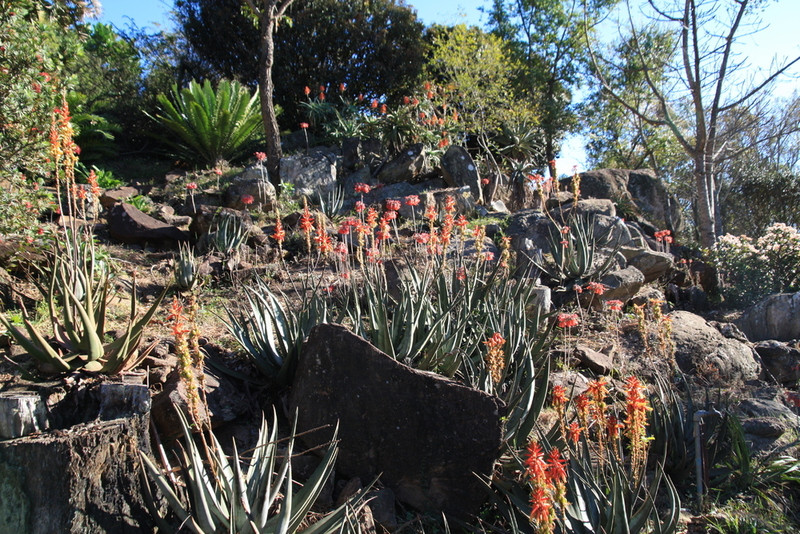 Gilbert Reynolds Memorial Aloe Garden has been moved among the rocks on Mlilwane Hill, with many walking trails winding through it. 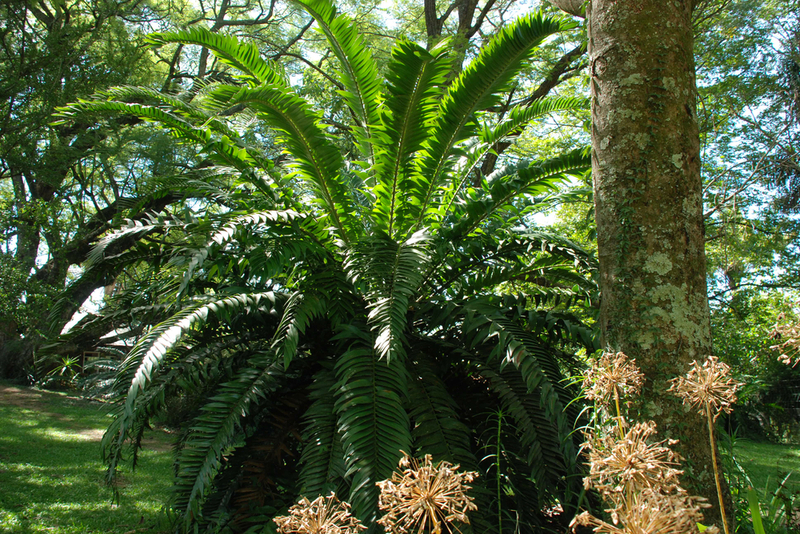 Giant cycads and ‘young’ baobab trees are among the many interesting additions. 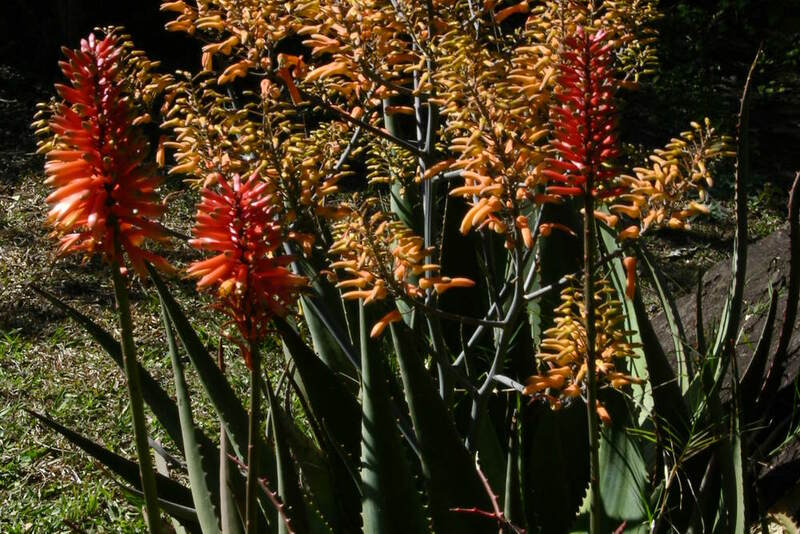 Spring and summer bring with them the wild flower surprises, but it’s the winter months when the Aloes are in full bloom. 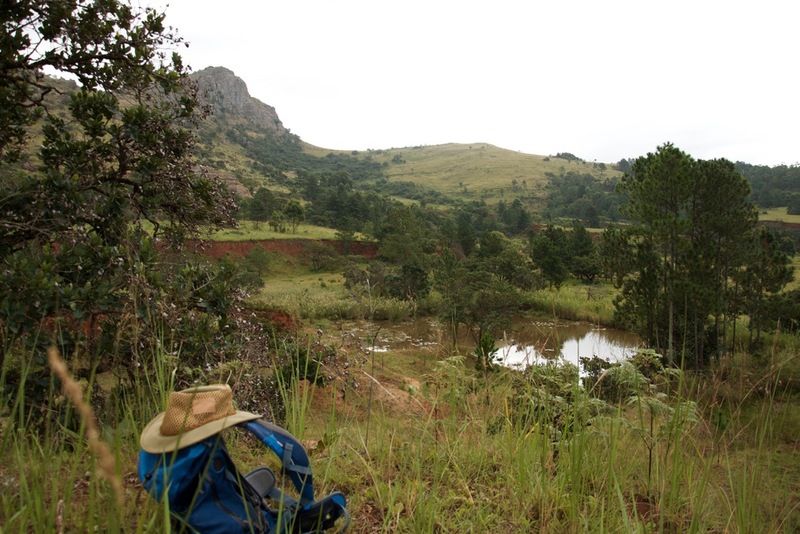 Mlilwane’s Rest Camp has awe-inspiring trees that were planted from seed in the 1960’s, with the purpose of educating and providing Swaziland with a botanical reference. 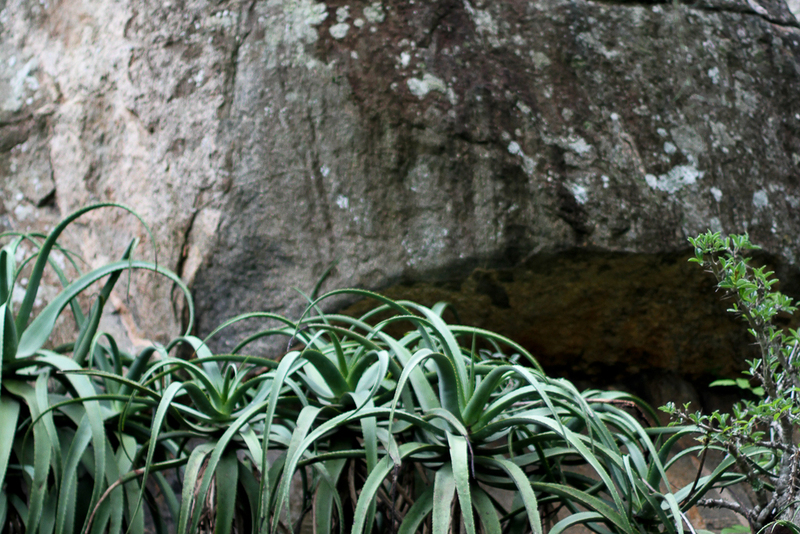 The Rest Camp Botanical Trail is a short but enlightening stroll identifying as many as 70 tree and plant species. We all think we need a little R&R, but in truth, the best holidays are those during which we exert ourselves a little more in the physical realm, especially in natural areas of extreme beauty! We return with our souls refreshed and the meaning brought back to our lives. 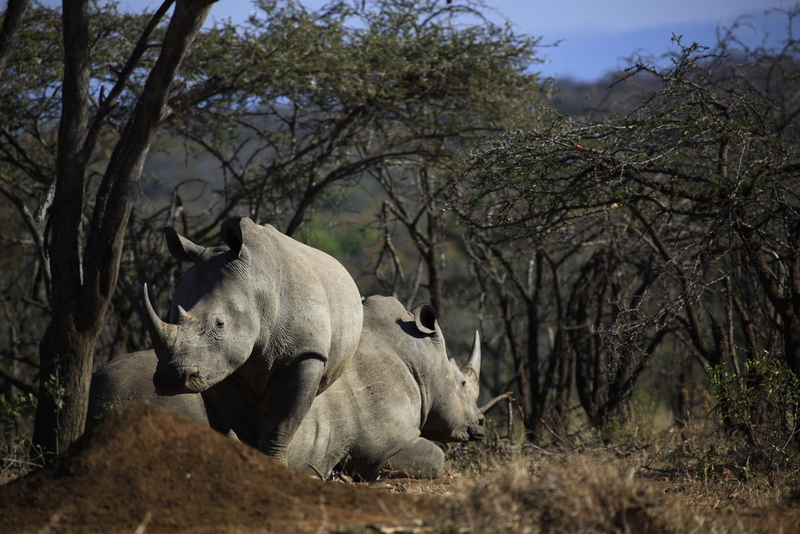 Swaziland is definitely an adventure hub of southern Africa, and Big Game Parks is no exception. 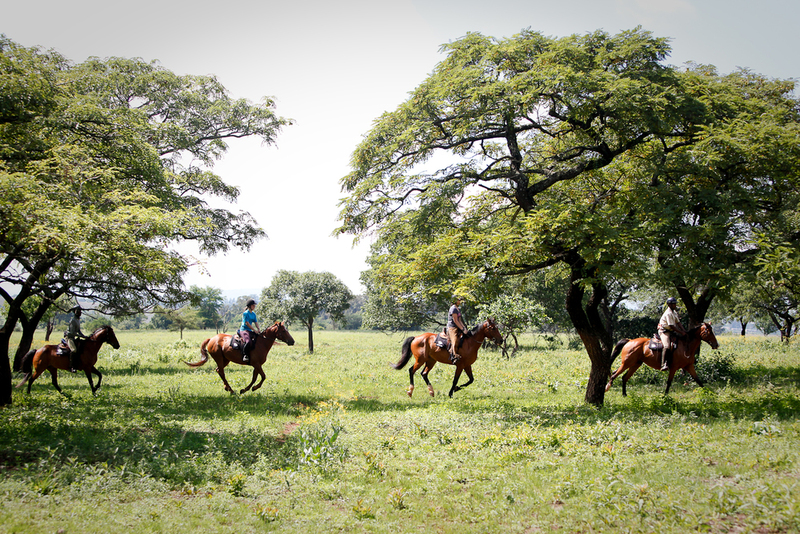 With Mlilwane being Swaziland's Outdoor Lover's Paradise, and combining Hlane and Mkhaya, what more can we say…? 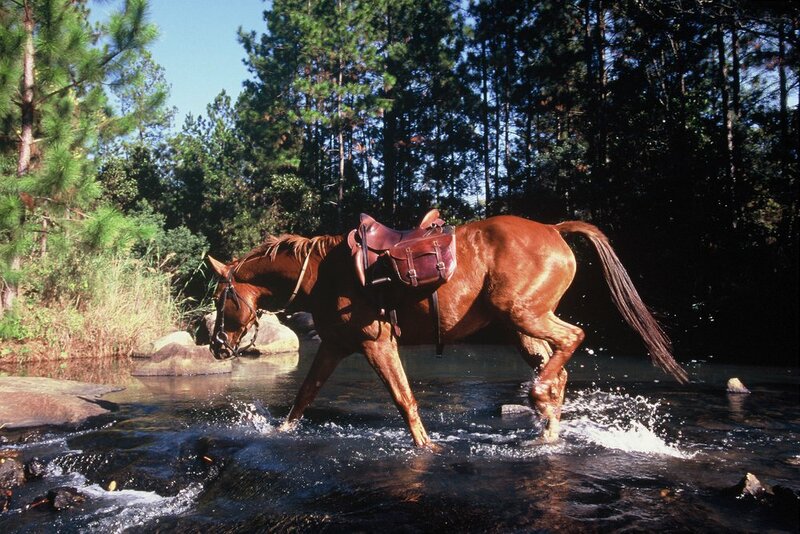 If horses are your thing, or appeal in some way, head out on trail for a number of nights with Chubeka Trails. 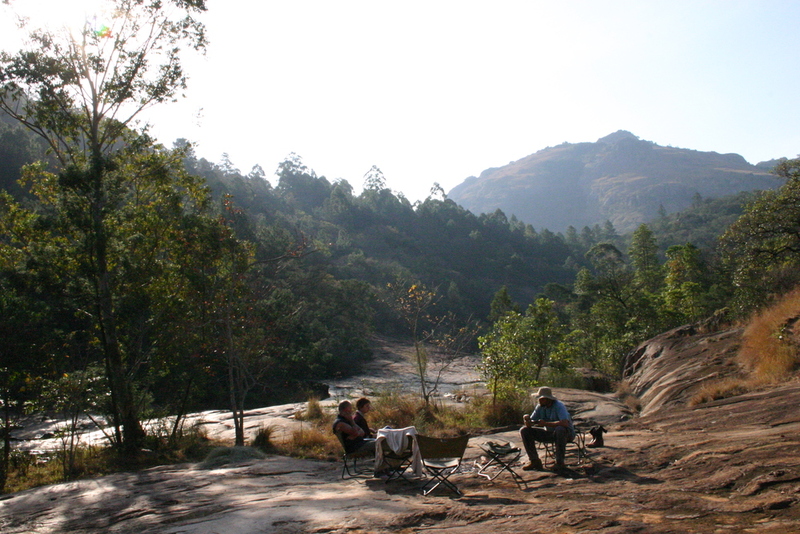 Book in at Mlilwane Wildlife Sanctuary (options include Rest Camp, Sondzela Backpackers or Reilly’s Rock Hilltop Lodge) for the preceding night, enjoy 1-4 nights on trail and return for another night in fixed accommodation just to round it off nicely and ensure you hit the road totally revitalised. 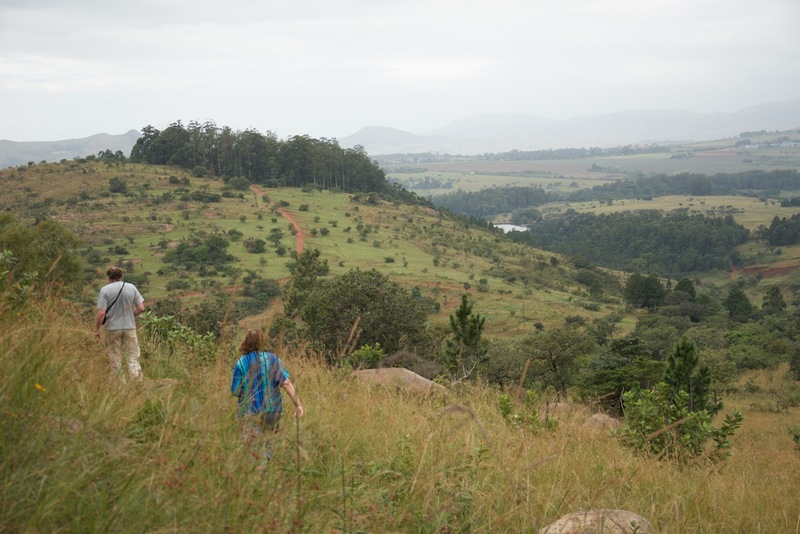 A combination of guided and self-guided walking on Hlane, Mlilwane and Mkhaya offers great diversity of terrain and habitat within short travel distances. Whether you are after longer day walks, or shorter guided walks, we have a few options that combine to create fabulous walking holidays. Most walking is easy to moderate. Besides Mlilwane being a wonderful MTB playground, it is also a great launch pad to the region, extending the cycling opportunity ten-fold. 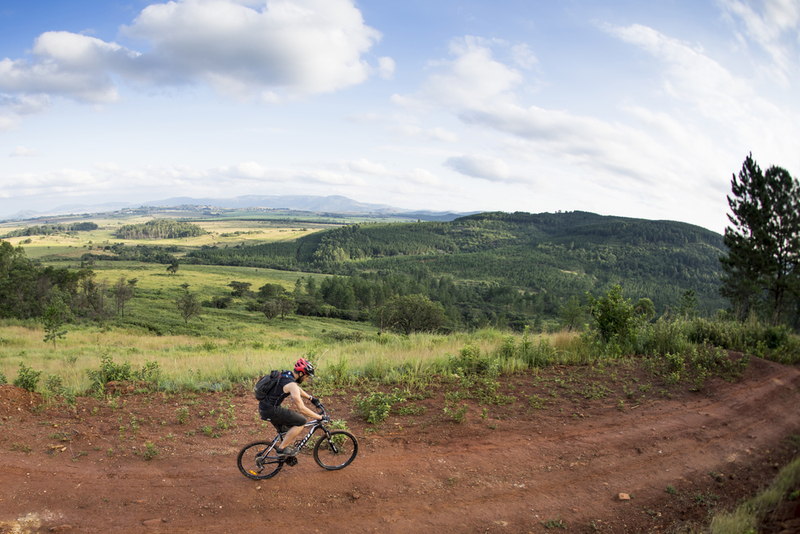 Being home of Imvelo MTB Classic, Mlilwane offers both tough and family friendly routes. Should you wish to follow the Imvelo Routes, simply ask for a map at Reception. 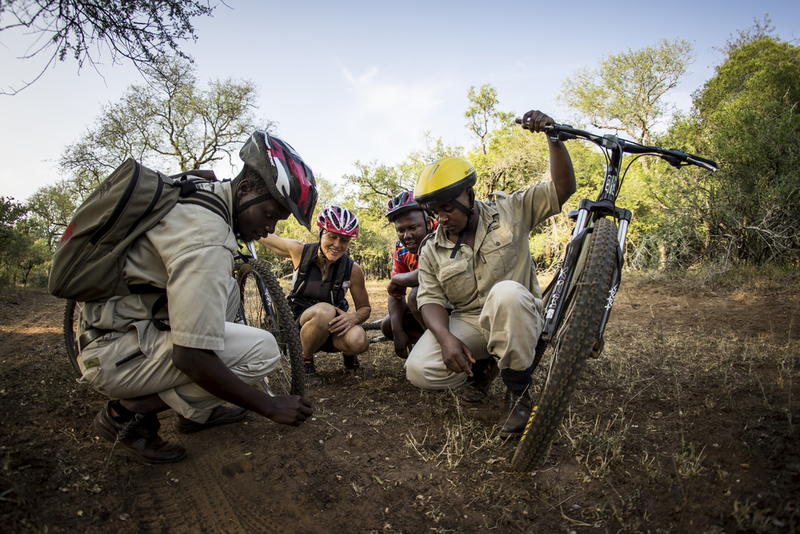 Either bring your own bike, or hire one of ours (for in-park cycling only), ride with or without a guide (Mlilwane only). Animals have right of way and cyclists are asked to respect this, on downhills especially. Wildlife does blast out the bushes, and we take no responsibility for accidents that may result. 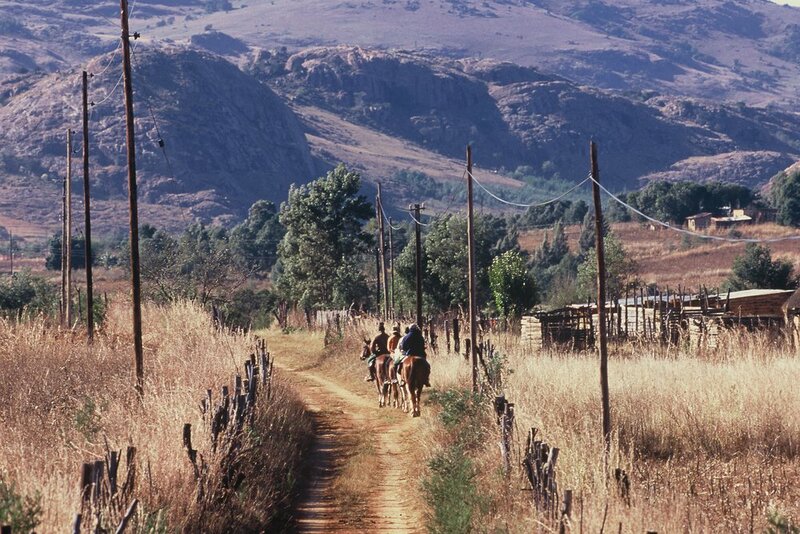 Spend a week between Mlilwane and Mkhaya, experiencing what the parks have to offer, as well as a little more of Swaziland. 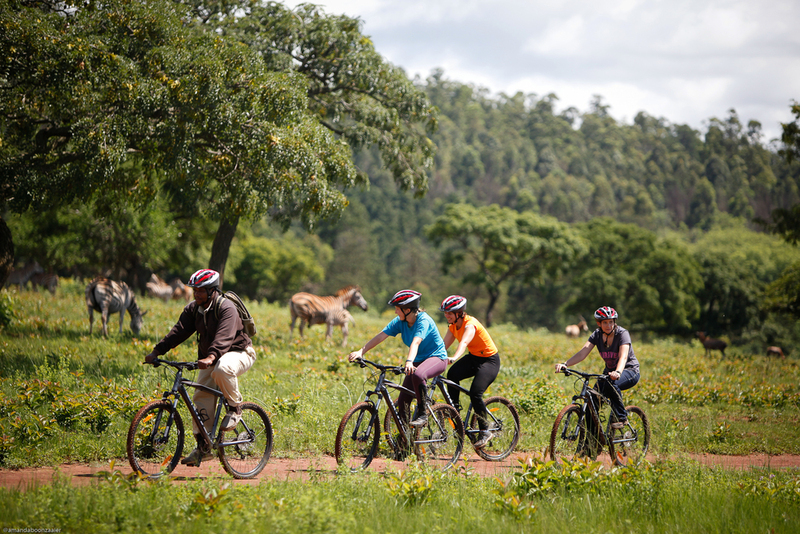 This is an idea for an action packed week with trail running, hiking, mountain biking, white water rafting, horse riding, bush waking safari & canopy tour. Of course, you can pick and chose, but this is what we’d love you to do! "Just Us" is about escaping with your significant 'other' or breaking away with family & friends, just because… who needs a reason anyway? And when it comes to escaping, nature is the very best place to head. These ideas are about sharing experiences and building memories with special people. 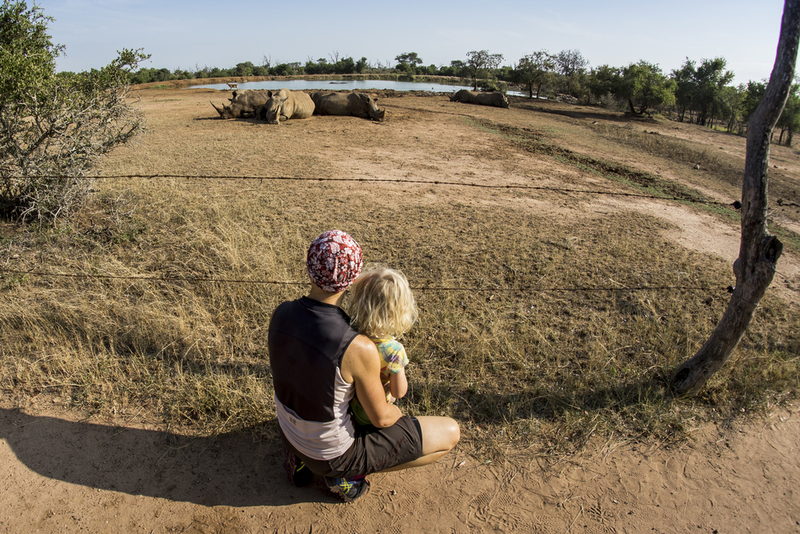 If ever there was a place for family bonding and learning the lessons of life, it is where freedom and adventure exist – in nature. 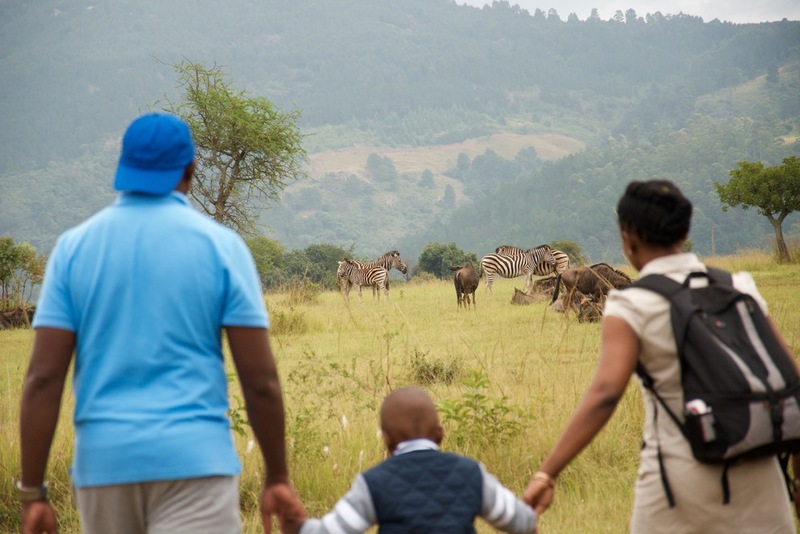 With a little self-guided trail for the kids providing safe exploration, activities to ensure a great night sleep and wildlife experiences to get excited about, the family will be asking to return for more stories to share with their friends. In a world dominated by technology, it is hard to get kids to look beyond the device, get them out there and among real Animal Planet characters and bugs, tasting, smelling, feeling and seeing nature first hand… and of course returning with stories probably larger than life itself! It's always fun to get away with another couple or family, planning meals and sharing the load. Self-catering holidays are about arriving and settling in for a number of days, exploring your surrounds at your own pace. 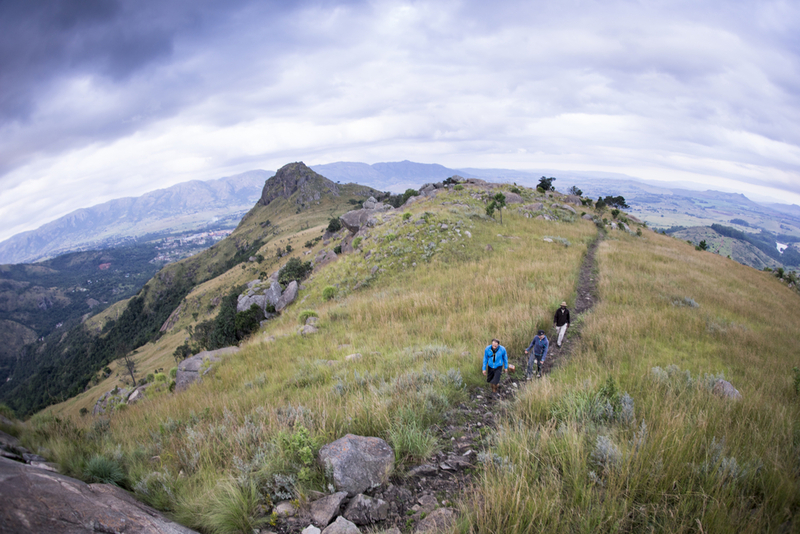 Bring your mountain bikes, hiking boots, bird books, and leave space in your boot for those amazing Swazi crafts. 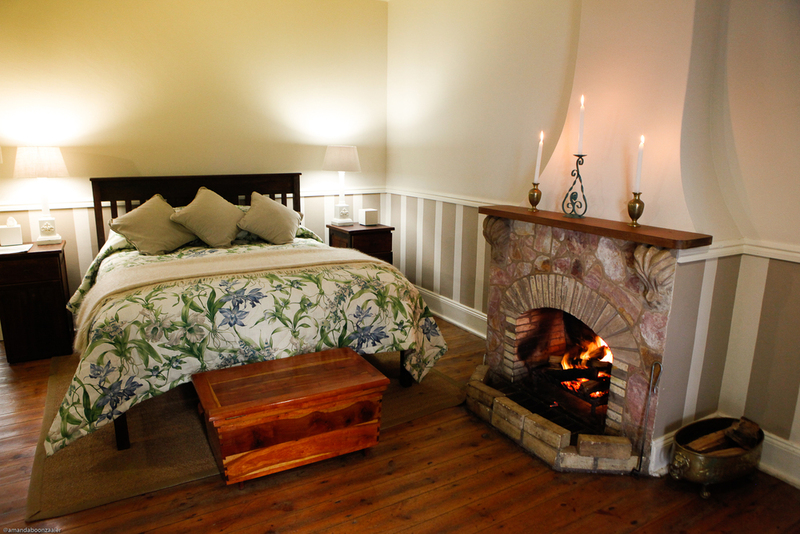 The freedom offered at Mlilwane, no matter the accommodation chosen, is a holiday in itself. 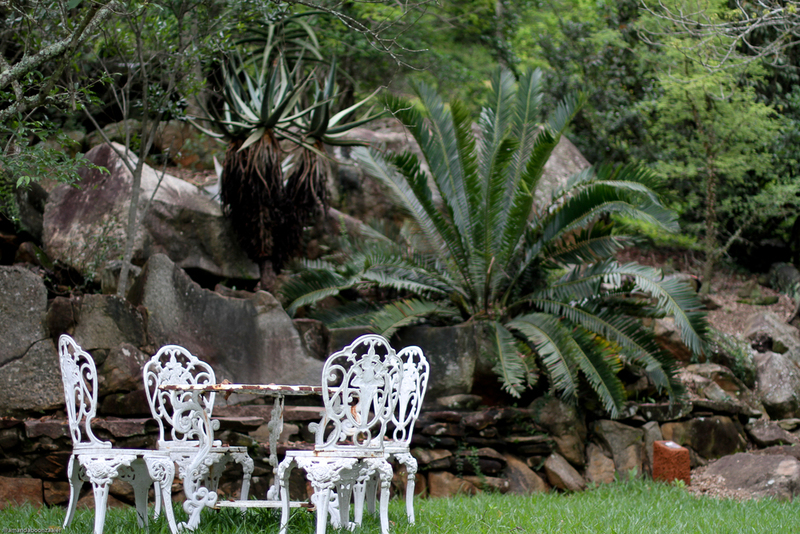 With the tranquility of overnighting in a Sanctuary, the days can be filled with nature activities or head out into the near-by Ezulwini and Malkerns Valleys for farm-style restaurants, craft shopping, entertainment and spending time with friends. 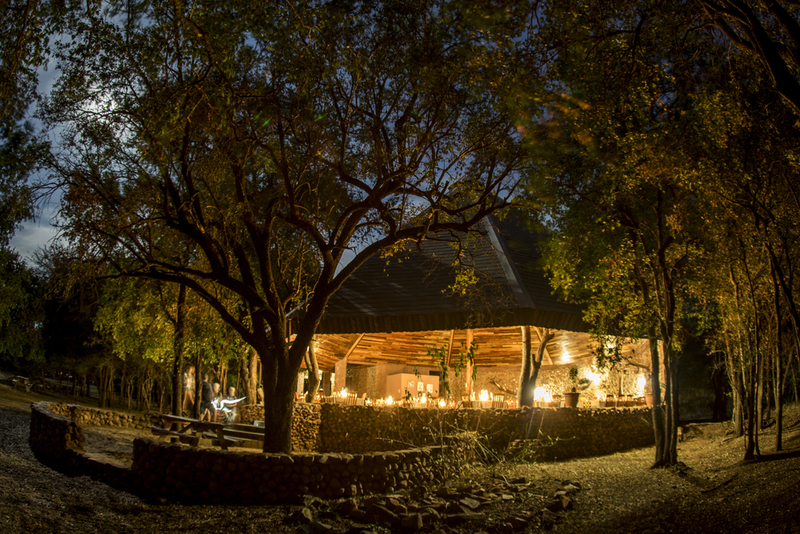 There is nothing quite like evening braais in the lowveld, under Acacia trees with the stars shining through. Even better, there is no electricity… the campfire and lanterns making the bush dance at the edge of the light. Fireside stories abound, whether fact or fiction. 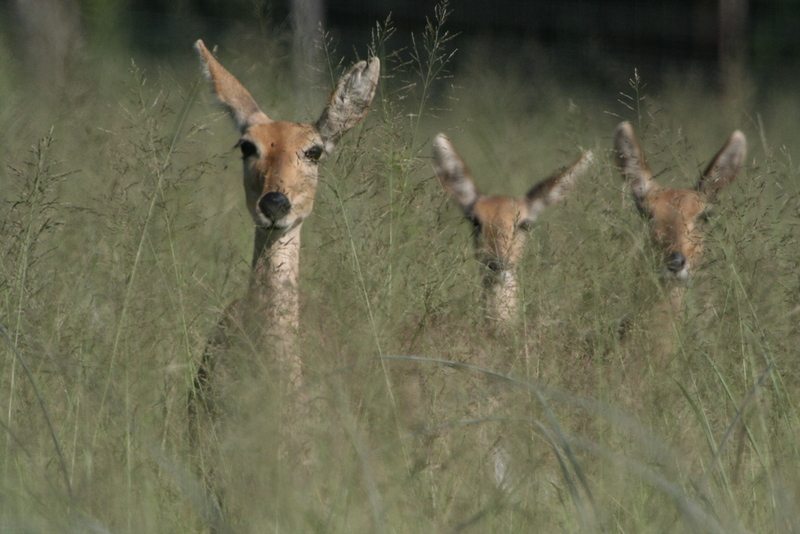 Group tours, Special Interest groups and schools who are out for R&R, a little education or fun adventure can find it on Big Game Parks! 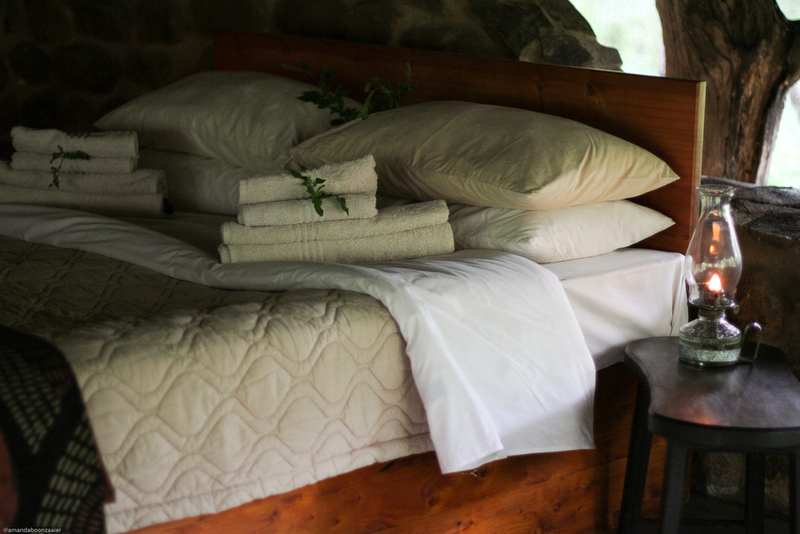 We have the accommodation, we have the activities… all we need is to craft it to your purpose. The experience of being on foot in the bush or in the mountains for a full day, thinking through water supply, wildlife, friend dynamics and energy levels is an experience every human should have, preferably from a young age. 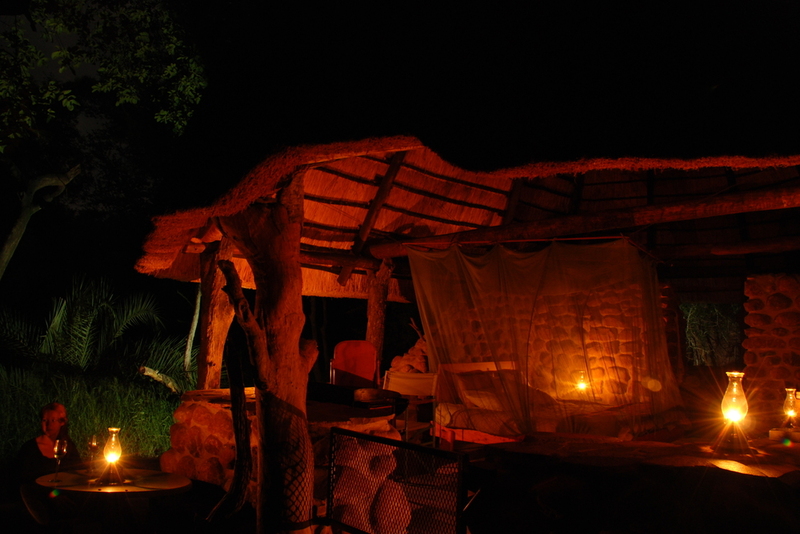 Add a night under an open gazebo, night watch, cold showers and bare necessities and the experience is deepened ten-fold. These trails are not so much about the wildlife as the environment and the journey that each individual is sure to travel. Suitable for hiking groups, schools, corporates and clubs. 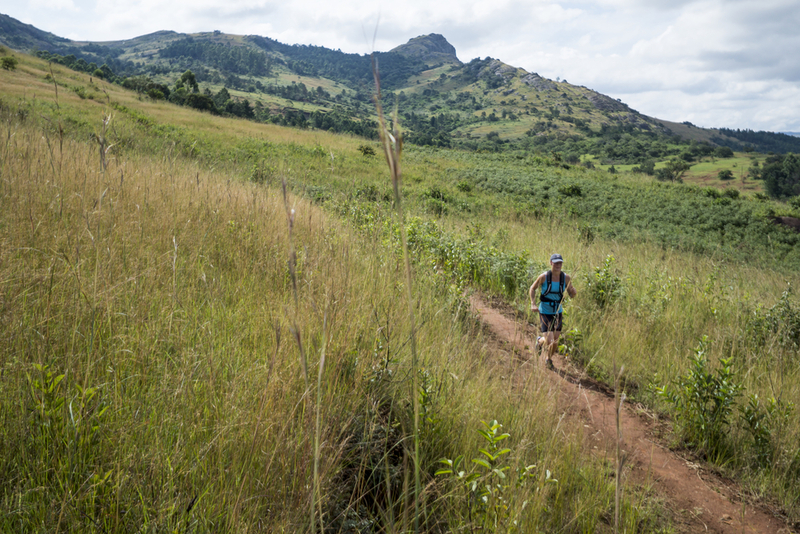 Mlilwane’s road and trail network, with neighbouring commercial forest, farms and community, offers extensive playground for sports club events, including trail running, mountain biking, hiking and orienteering. A little local input around a map will provide the distance and technical challenge you are after. 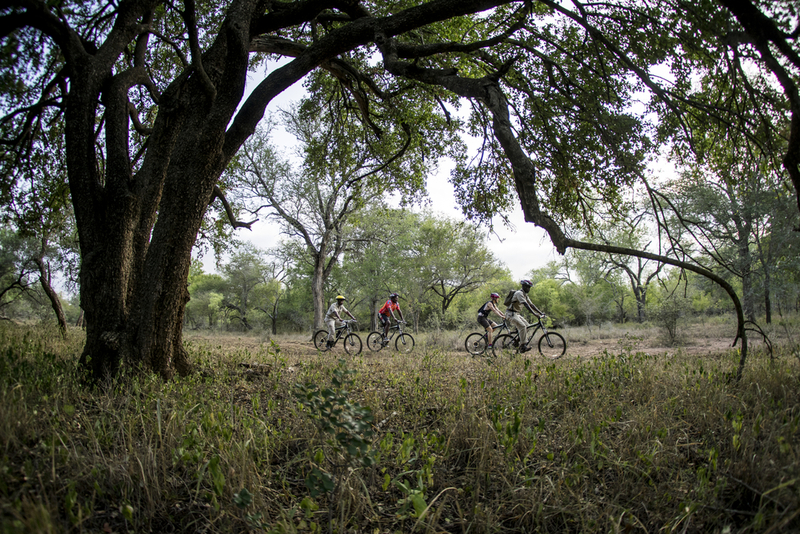 What makes Mlilwane extra special for these outings is the 3 Beehive Villages, providing ample accommodation and the large Hippo Haunt Restaurant which will provide the sustenance required for those active days. The swimming pool area has braai facilities for group braais around large campfires, to make this an extra special outing. 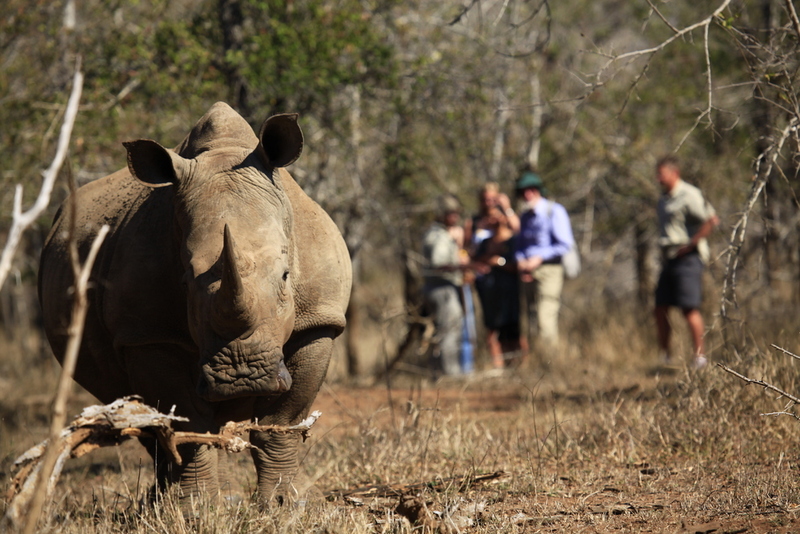 Tailor-made itineraries can be crafted to meet curriculum-based educational trips on any of our parks. Ecology, Biology, Conservation, Agriculture and Land-use are the obvious ones, but there is opportunity to explore Geography and History. For further information and ideas, please contact our marketing office. Nature provides both motivation and subject matter for all forms of art, and between our parks, there are beautiful subjects for photographers, artists, poets and writers. If it’s the ecology or certain species you are after, we have that too. Of course, when it comes to craft and community experiences, Mlilwane and Hlane are great places to retreat after a busy day out there. 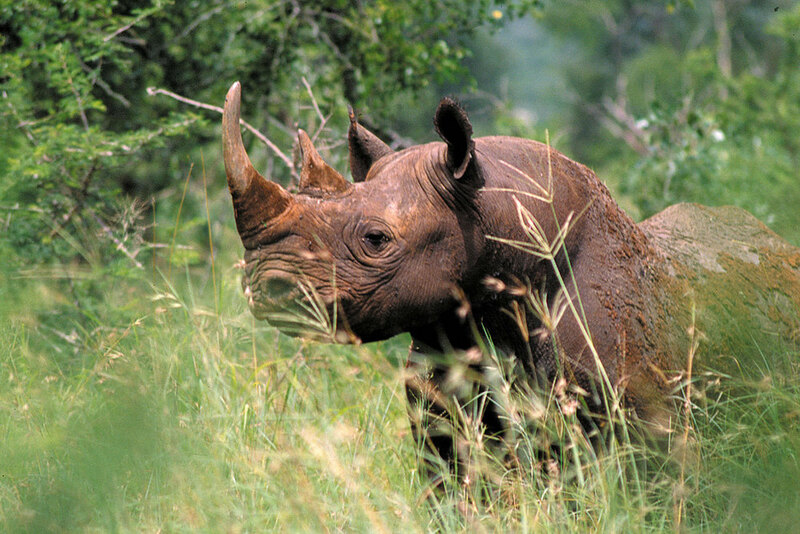 Swaziland’s diminutive size belies its astounding variety. We’ve had a client say “I came to Africa to find Swaziland. Here in Swaziland, I found Africa.” What is Africa? 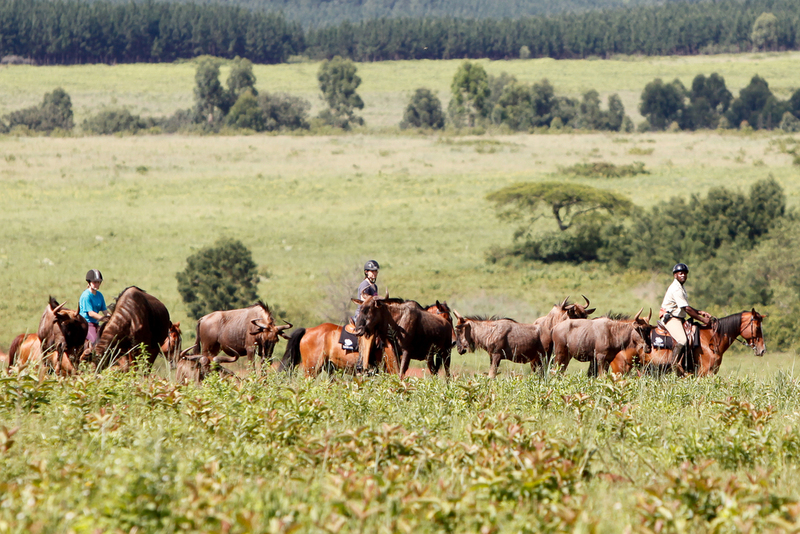 It is a kaleidoscope of wildlife, culture, adventure, special characters, thorn trees, grassland, sunny days and thunderstorms. 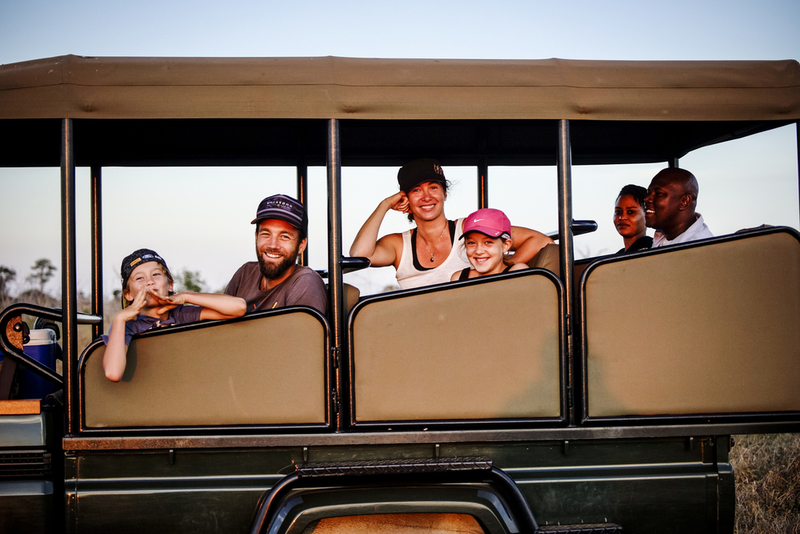 Africa should be a little challenging, a lot of learning and absolutely rewarding. 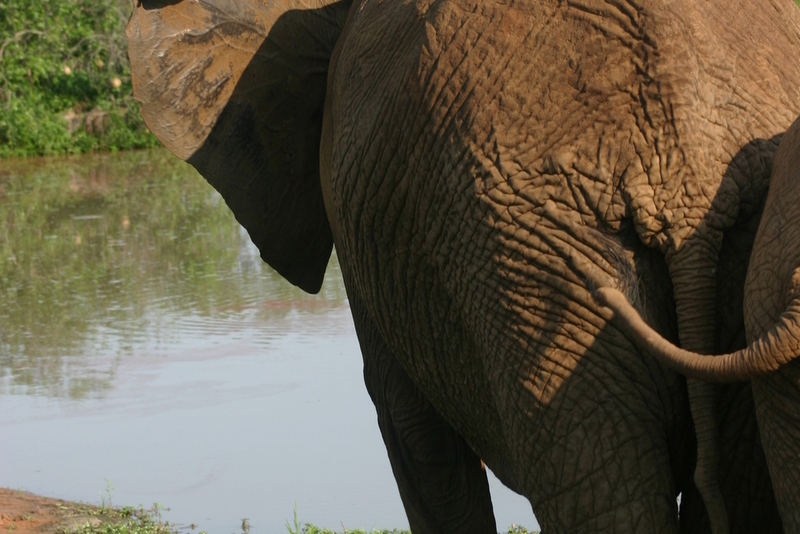 In a short week in Swaziland, you can experience a lot of Africa.